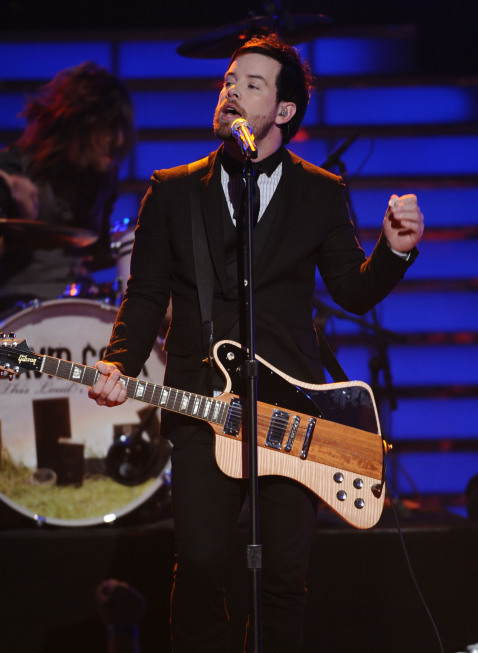 Before the performances got started it was revealed that Lauren Alaina had a strained vocal chord and almost bowed out of the show. 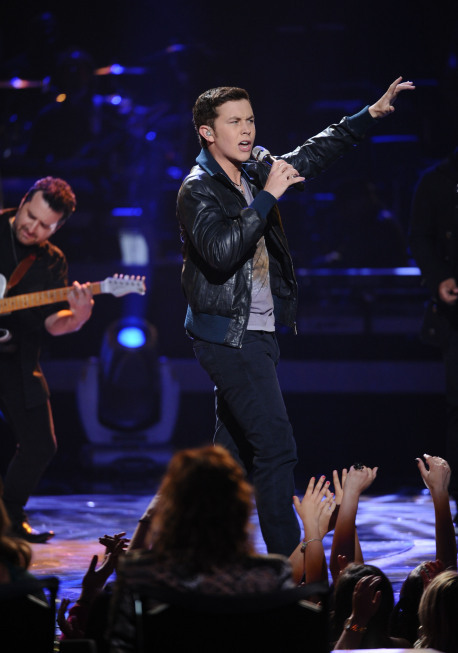 The crowd loved Scotty McCreery’s favorite — “Gone” in the first round of the finale. Lauren Alaina sang “Flat on the Floor” in Round 1 of the Season 10 finale. Lauren Alaina impressed with “Flat on the Floor” in Round 1 of the Season 10 finale. 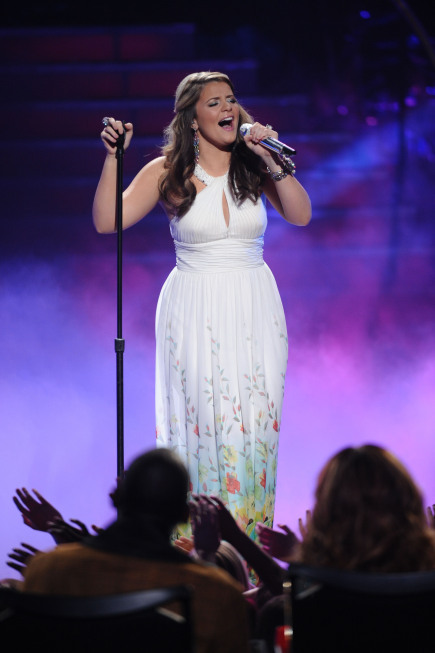 It was Lauren Alaina’s rendition of “Maybe It was Memphis” that got the judges attention in Season 10 finale. 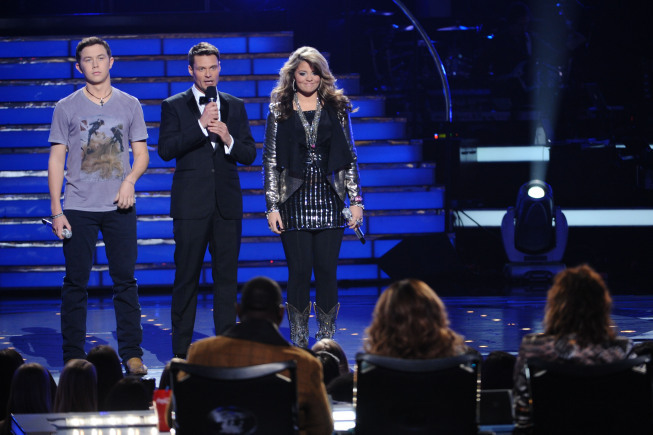 Both young contestants, Lauren Alaina and Scotty McCreery were noticeably nervous and excited in the Season 10 finale. 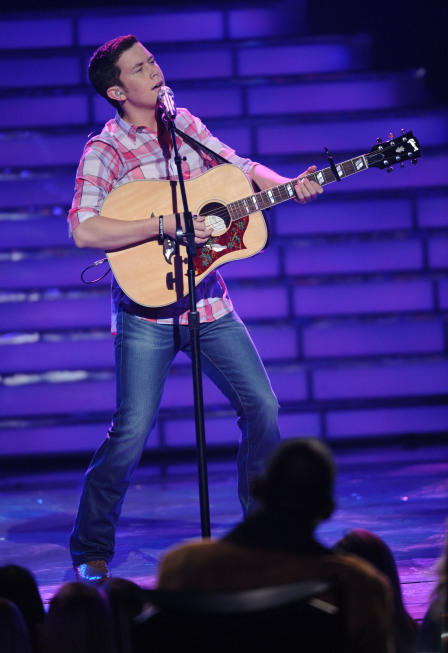 In the judging after Round 2, most agreed that Scotty won the first round and Lauren the second. 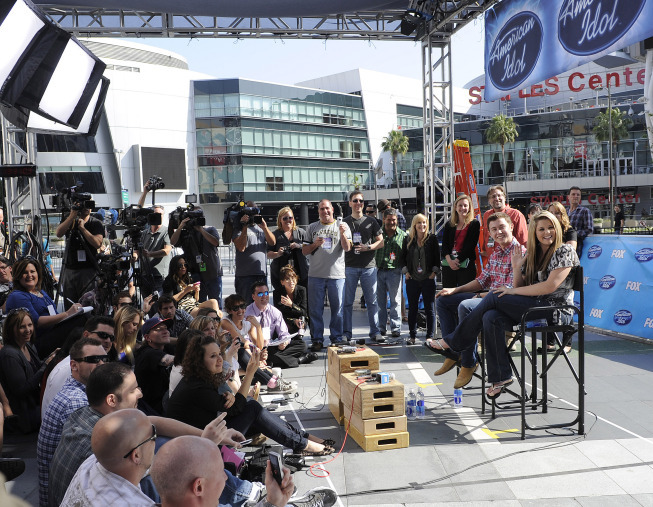 It was the 10th finale for American Idol host Ryan Seacrest. 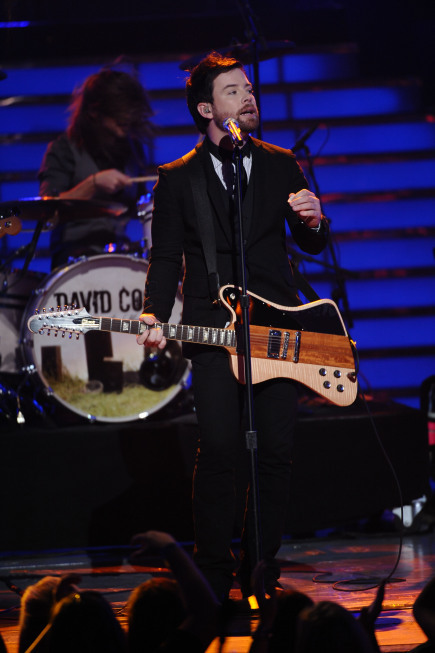 David Cook covered “Don’t You Forget About Me” on the Season 10 finale. Lauren Alaina and Scotty McCreery meet the press. 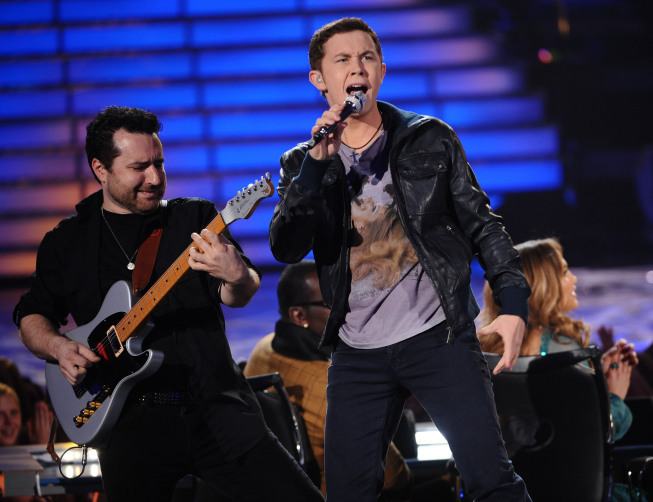 Scotty McCreery and Lauren Alaina have grown to be close friends over the course of the season. Lauren Alaina and Scotty McCreery pose on the red carpet with Simon Fuller, creator of the Idol franchise, as Fuller receives a star on the Hollywood Walk of Fame. The Top 13 contestants post on the red carpet with Simon Fuller, creator of American Idol.